The 2016 Lincoln Navigator L from Pascagoula, MS is a powerful full-size SUV that offers high-end luxury down to the little details. Thanks to an extended wheelbase, this giant seven-seater is roomy and airy from all seating positions. Topnotch handling and a new V6 engine makes it a real thrill to slide behind the wheel. An updated touchscreen control interface makes it easier to navigate the advanced technology inside. In addition, the 2016 Lincoln Navigator L stays true to the highest standards of Lincoln’s luxurious accommodations. 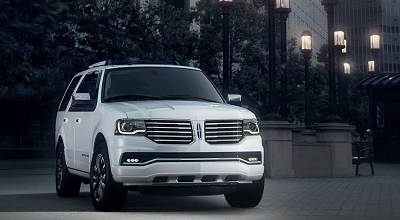 Together, these make the 2016 Lincoln Navigator one of the strongest players in the full-size SUV game. The blog article originally appeared on BaldwinMotorsLincoln.net blog page. Posted on November 26, 2016, in Business and tagged 2016, dealerships, lincoln, navigator, pascagoula. Bookmark the permalink. Leave a comment.